An interactive digital resource that teaches kids about several forest-dwelling insects. 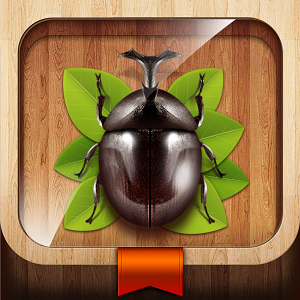 The app is organized into five main areas: Multimedia, Insect Story, Observation Journal, See Insects, and Quiz. The Multimedia section includes brief videos and photographs of insects, giving kids a close-up view into the behaviors of these interesting animals. The Insect Stories section is a narrated, animated chapter book with topics including classification, life cycles, and characteristics of forest insects. The Observation Journal includes a section for kids to enter written observations and a section for them to view their entries. Pros: Beautiful graphics, tons of scientific content, and plenty of opportunities for kids to assess their learning. Cons: The number of insects discussed is somewhat limited, and the video narrations are too short. Bottom line: An age-appropriate, interactive multimedia resource that brings insect info to life.